A denture is a detachable dental appliance that replaces missing teeth and surrounding tissue, which mirrors your natural teeth. 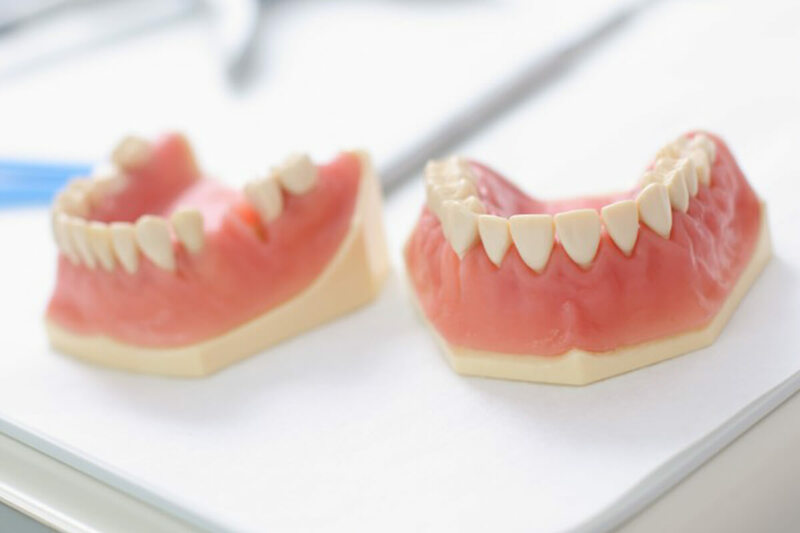 Complete Dentures: Used when all of the teeth are missing. Conventional Complete Dentures: Made after the teeth have been removed and the gum tissue has healed. During this process, the patient will go without teeth for about four to six weeks. Immediate Complete Dentures: Made in advance and immediately placed after the removal of the teeth. Partial Dentures: Used when some natural teeth remain. Partial dentures fill the spaces created by missing teeth and prevent other teeth from shifting.